The often overlooked immune system is an important part of our body that keeps us healthy. So what keeps the immune system in check and helps it maintain its vital function? What feeds it? Apples, apparently. Did you know that red apples, due to their quercetin content, boost your immune system, aiding in the resistance of infections and bacteria? They help maintain red blood cells and are a great attribute to overall health, playing a role in the maintenance of not only the immune but also the nervous system. These benefits can be attributed to the all-important vitamin C, a natural antioxidant which helps heal many things; and not only does vitamin C repair, it also aids in your body’s growth. They’re also a good source of many minerals, including calcium, potassium, and phosphorus, and help provide protection from free radicals due to their phytonutrients. So, basically, really healthy. Do you need more convincing? Apples contain a neurotransmitter called acetylcholine, which both fights aging and improves memory. The high levels of antioxidents and fibre in apples resist the breakdown of dopamine-producing nerve cells in the brain. 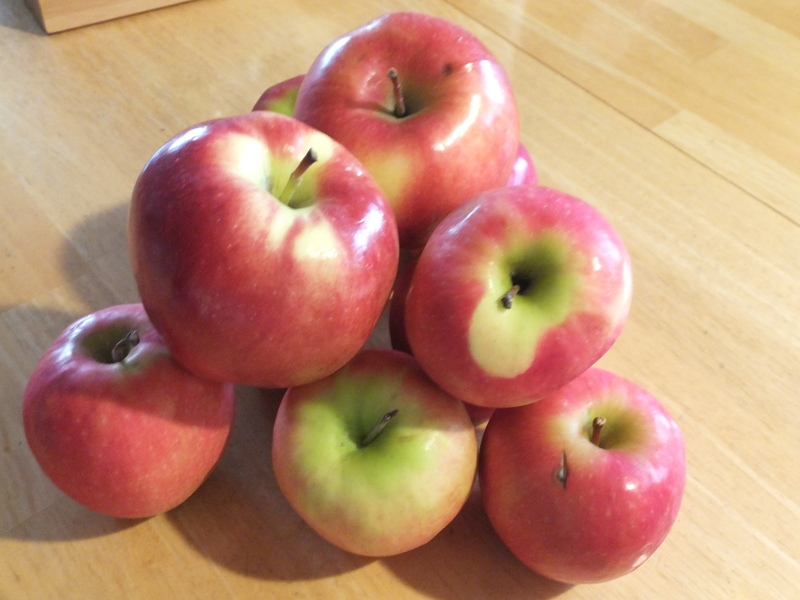 Titerpenoids, which are found in the skin of apples, as well as flavonal, have been found to fight against cancer. 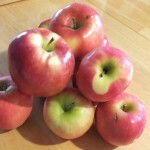 The fibre apples contain contributes to maintaining steady blood sugar levels. But make sure you eat the peel! A medium apple with skin has about 3.3 grams of fibre, whereas a medium apple without skin only contains about 1.7 grams of fibre. By binding with fats in the intestine, the soluble fibre in apples fights against the buildup of plaque in arteries. As well, a phenolic compound found in the skin prevents cholesterol from becoming solid in artery walls. The reason cholesterol-rich plaque buildup is so bad for heart health is that it reduces blood flow to the heart. The quercetin content found in apple peel is also a heart-healthy attribute due to its anti-inflammatory properties. In addition to the diseases listed above, apples are said to help prevent and lessen gallstones, irritable bowel syndrome, diarrhea, constipation, hemorrhoids, and cataracts. Now you might be wondering how apples can aid in lessening both diarrhea and constipation. Well, the fibre in apples has the ability to either pull water out or absorb excess water according to your body’s needs. So when in doubt, eat an apple! Gallstones form when bile has too much cholesterol and therefore solidifies rather than remaining in liquid form. Again, the winning amount of fibre in apples controls cholesterol levels as well as maintaining weight, preventing solidifying bile and, consequently, gallstones. I’ve heard that many people drink apple juice – and lots of it – when doing a gallbladder cleanse because it helps soften gallstones so they can come out easier without causing internal damage to your body. Gallbladder cleanses can be dangerous, and you need to know what you’re doing before you start. Symptoms include constipation, diarrhea, abdominal pain and bloating, all of which can be controlled by adding good fibre to your diet. The fibre continues to aid for those with hemorrhoids because it helps prevent strain during excretion. Tooth Decay: bite into an apple to stimulate saliva and improve teeth and gum health. In general, cataracts are not as likely to occur in people whose diet is high in fruit, because of all the antioxidants they’re getting through those fruits. Fruit also helps detoxify your liver, a vital organ that affects many body functions. Last but not least (I know, I know, so clichéd), apples are good for weight control. As we know, the fibre in apples functions to aid many things. This includes weight control, because fibre-rich foods can fill you up without excess calories. Apples are also fat-free.